South Africa 6-213 (Graeme Smith 68, Vernon Philander 48*, Ishant Sharma 3-64) trails India 280 (Virat Kohli 119, Ajinkya Rahane 47, Vernon Philander 4-61, Morne Morkel 3-34) by 67 runs. 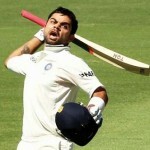 The visitors smashed 280 runs in their first innings and the hosts managed 213 for the loss of six wickets in 66 overs. The second day’s play of the first Test came to an end on Thursday, December 19, 2013, at New Wanderers Stadium, Johannesburg. Earlier, India started the day at 5-255 after 90 overs whereas Ajinkya Rahane and MS Dhoni were batting at 43 and 17 runs. Both batsmen surrendered after the addition of just nine runs to the total for 19 and 47. The Proteas bowlers took over and crippled the rival batting, Ravichandran Ashwin scored 19 as India thrashed 280 after consuming 103 overs. Vernon Philander was the chief wicket taker with four, Morne Morkel held three whereas Dale Steyn and Jacques Kallis shared one wicket each. The South African captain, Graeme Smith, along with Alviro Petersen gave an opening stand of 37 runs before the later was gone for 21. Hashim Amla got together with Smith who was dropped at 19 by Ashwin in the first slip off Zaheer Khan. The duo opted to attack and dispatched 12 fours in the coming overs whereas the latter reached his 38th Test fifty with another boundary. 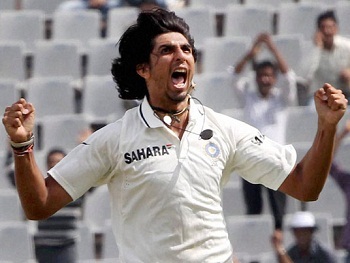 The smooth association was dislodged at 130 as Ishant Sharma struck twice in the 39th over by removing Hashim Amla and Jacques Kallis for 36 and 0 runs. Graeme Smith added the miseries of the home side when he left the scene at the same score for 68. The middle order batting of the Proteas was ruined by the quickies of India as AB de Villiers and Jean-Paul Duminy went back to the pavilion for 13 and 2. The hosts were reeling at 6-146 in 44.3 overs when Faf du Plessis and Vernon Philander got together in the park. They negotiated the rival bowling at merit and remained unbeaten for 17 and 48 as the score touched 213 at stumps. 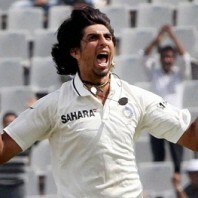 Ishant Sharma was the main wicket taker with three, Mohammed Shami grabbed two and Zaheer Khan chipped in with one wicket. The seventh wicket unbroken partnership of 67 runs has consolidated the innings of South Africa and the game is at an interesting stage at the moment.